Milan chief executive Ivan Gazidis is reportedly at loggerheads with sporting director Paolo Maldini over the potential signing of Arsenal midfielder Mesut Ozil. The former Germany international has seemingly fallen out of favour under new Gunners manager Unai Emery, and has been left out of the matchday squad on numerous occasions this season. 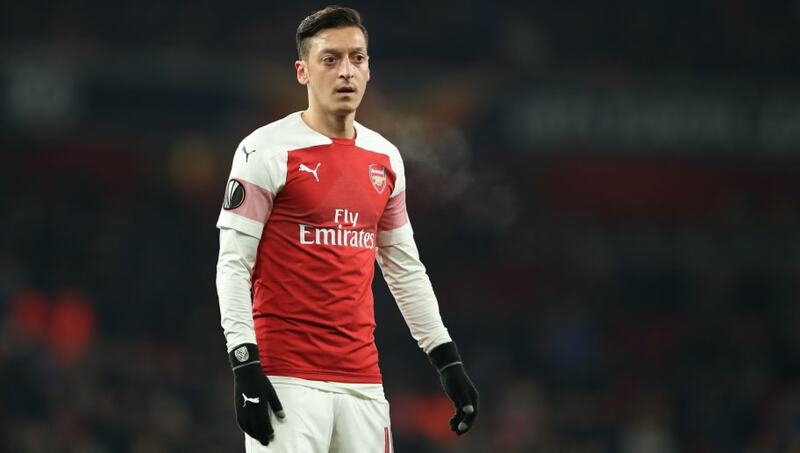 Ozil's absence has led to intense speculation over his immediate future, with ​Serie A giants Milan one of the sides linked with a potential move. Now, Corriere dello Sport (via the ​Daily Mail) claim that former Gunners chief Gazidis, now at ​Milan, is unconvinced about bringing the playmaker to San Siro and feels the 30-year-old's wage demands and age do not tie in to the club's new recruitment strategy. Rossoneri legend Maldini, who is the Italian side's sporting director, has reportedly clashed with Gazidis over the issue, with the former defender insisting that the club should take the opportunity to sign an individual of ​Ozil's calibre. Ozil's £350k a week wages have heavily restricted Arsenal's finances, with the Gunners reportedly open to either permanent or loan deals for the former Real Madrid star. In his pre-match press conference ahead of the crucial ​Premier League clash against Chelsea on Saturday, ​Arsenal boss Emery played down any talk of a move away for the 30-year-old and declared he wanted more consistency from his midfielder. He said (as quoted by the Daily Mail): "I've spoken to him because I want consistency. "He's had some injuries and these injuries mean that sometimes he is OK and sometimes he isn't OK. I want every player to give the same work every day to be OK for every match. Emery added: "With Mesut it's the same. He didn't play the last matches but to me he's just like any other player. 'This Saturday he can be with us if he's OK. Now? He's training consistently with his work over the past two weeks and I think he can be."